Mondaiji tachi ga Isekai Kara Kuru Sō Desu yo? We will TL Last Embryo. Don't ask about this anymore. For Raws, cleaned images and translation that helped me cross-reference. Hello and Are you still going to continue to work on volumes 11 & 12 + Last Embyro series. Can you make PDF download links on your blog once you finish each one so we can download you translations please i miss reading them on the go when i downloaded the first 10 from BT. Thank you. Thank you for transalate mondaiji/Last embryo. I will follow you because i love this series but I can't read japanese version LOL. It is fortunate to see a translator still alive to work on this since it was DMCA'd, would vol 12 be continued or is it only LE now? I really hope to be able to get a proper closure of the war, even though there was no news on vol 11 from Firebird side for months now about the fight. As powerless leecher, I can only wish that the translator will continue to work on it. Mondaiji is not dropped. Firebird plans to translate v11. Magref is slowly translating V11 as well. As for me, V12 will be translated but for now I'm focusing on LE. Anyways, so how's volume 12 going? Been awhile since i last visited and noticed you seem to have dropped The Last Embryo Series completely off your Blog. Even thou they where Summary's right now i was still hoping to see you possibly do a full translation when your other projects where done. Will you continuing them later or Not anymore. Yamette, at https://yamettetranslations.wordpress.com/ is planning to translate it in near future. Okay Thanks for the Quick Answer. Have a Good-day. Yes, I know. We decided that our team would do it so they dropped it. Thanks for volume 11 ! If you could pass the message to eclipse9. I got ya mail in BT, but I can't reply (my account is too new ;w;). I went to the discord but there are nobody, so I'm putting my message here. My mail is my name of the forum with the tuta.io. Sorry about the delay, seems like we're not in the same timezone haha! where can i find volumes 1-10? Search for it. Usually somebody posts their epub/pdf collection in reddit.com. Or you could check out the Discord. There are links to PDF/ePUBs of all volumes there. Finally.. more Mondaiji... it feels like it's been so long! Haven't started reading this series yet, but which volumes do I read the short stories after? Can you answer for the Vampire Maid and the Storyteller SS as well? Shiroyasha SS happens after V5. Trouble files is somewhere V10-11. Its fine to read at the end. Here is the timeline of mondaiji. Will add other short stories there later. frozen-sama, might I just say how much I love how you provide us with this series? after finishing volume 10 and reading about the dreaded DMCA I feared I'll never be able to read volume 11 and continue this series. but after much google-fu I finally found my way here, like a lost little lamb. so thank you, thank you very much for doing this, for offering translations for those of us with no real language skills. and since you clearly made my day I hope this will also lighten your day: you are a great person! I think yamette has drop LE? Is there a set time as to when volume 12 will be fully translated? I just can't wait to find out what happened during the final battle and the aftermath. We don't do this release date thing. The volume will be out when it's done. Please be patient. You can just ignore this if it's a bother but I was just wondering why even though the Progress status says that v12 Prologue is done I can't seem to find it anywhere? I see. Thanks for replying. I honestly did not know that. can anyone tell me the expected release date for the translation of volume 12? No release date. When It'll be done we'll post it here. And update the top-right widget about the progress. Thanks for translating it :) ! I'd almost thought I would have to hope for a company to pick it up. 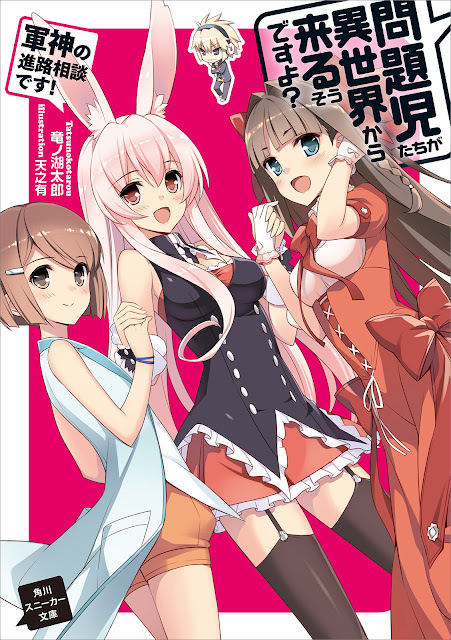 Oh my gosh, thanks to all of you, i finally can read the light novel of this awesome series, but i want to ask something: are you all going to translate last embryo as well, when you finished mondaiji? Yes. V1 of Last Embryo is partly translated already. where i can get the epub for vol 1-10 ? The Epub/PDF links of all previous volumes are available on my Discord. Thanks for your awesome work. Y'all tha real mvps! Frozen-sama you also gonna' translate Last Embryo? Yeah. Why don't you just catch the spear moving at light speed with your barehands. can i ask why chap 1 still 40%? Can you please not ask? Most likely the translator for that one has been busy with other things. True, it's frustrating that that one chapter is what is preventing us from reading the last volume of the first series, but real life comes first. Do you have an estimate for when you might be done with Vol 12 since chapter 1 has been @ 40% awhile when the rest of the Novel is completed. Dude, he said don't ask. Plus it now says 90%, so it'll probably be out today or tomorrow. Or next weekend depending on when the translator has time. Dude was not asking you and Just because the Date the comment was Posted is not the date I wrote it. I wrote the Comment on 9/2/16 when it was still @ 40% and since I'm assuming the Frozensama don't live in the US so all comments post 24hrs ahead of the time zone they where written from. Also now it's 100% Complete. Thank you so much for translating this. I love this series and I was going to try and find the untranslated version and translate it myself. But that would have probably taken me years. Thank you so much for this. Thanks for the Volume and the epub . Argh feel stupid now , just assumed that the 11th was the 12th . Will be looking forward to the epub Ice. Thanks for finishing this series (one of my top 5 novel)...will wait for the PDF so I can download to read it again in my free time. Frozensama already said they would do Last Embryo but not right off Hand Probably after they finish ON HOLD Projects. 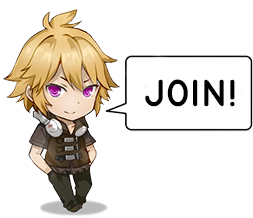 Are you finding another lightnovel to translate? ?if,yes can you translate unbreakable machine doll..sorry bad english. The translator and had been properly credited in the post and page of the site. They were also properly credited inside and outside the epub/pdf and links to their respective sites has been added.. Kudos to the translator ..
Granted.Vol 12 has been taken down. Dude! You are the only Epub or pdf maker that listens to the translators request! Thank you for Fully Completing Volume 12 and Hope to see an epub/PDF for it when you can get around to make 1 sooner or Later. Ne~ Frozen-sama(-san) do you plan on translating the LE series of this novel? Or did you drop it? Frozen said it was going to be translated, I think that Majo no Tabitabi is going to be translated first though. Frozen-San has already addressed they WILL be DOING LE but not @ this TIME since On Hold Projects are a Priority and will be done first. So FOR ANYBODY Still wanting to know if Frozen-san is going to Translate LE READ THE HIGHLIGHTED BLACK BAR @ top of Page and PLEASE DON'T ASK AGAIN or else they Might DROP the PROJECT COMPLETELY and then you who have asked will Ruin it for US ALL. is there gonna be pdf version for volume 12? Frozen-sama said after it is Fully Edited they will make an epub for it but I was wondering when it would be done too. still no PDF for volume 12? ne frozen sama, what level of japanese skill must i have to translate LN? around N2? Depends on how you plan to TL. (Like MTL where people don't know/have little knowledge of Japanese, or machine assistance, etc..) but around that level I guess. so theres certain method to tl too? if you don't mind, can i know how to learn that too frozen sama? MTL = posting the raw text in translators e.g. Google Translate, then editing the output from it. Quite a lot of WN translations are done like these by people who don't know the language, hence the accuracy of most of them are pretty bad. (rather than a TL, this is more like how one interprets the google translation). Machine Assistance on the other hand is when someone knows the language but they use dictionaries, readers for kanji, and similar stuff to assist them with difficult words/sentences. Many translators used/use this, (at least partly) and the accuracy is quite good because it's no different than TLing with a dictionary in hand. Direct TL (without any or minimum dictionary assistance) however requires near fluent level of understanding in both the source language and in what language you are TLing to. So as you said, it's N2 and above. Even at that point, you still need to use dictionaries sometimes when translating titles with hard terms and vocabulary. Accuracy is very high at this point. Just a little question are we going to have the PDF version of volume 12 ? Thanks for the translation and the epub. I've been waiting for this. I appreciate the effort you guys spent to translate this series which full of technical terms and even though some part is hard to understand, the general picture is clear enough. Thank you for these translations and I hope the LE's translation will come out as good as this. Will there be pdf downloads for these volumes that include the black and white images featured throughout the novel? Finally I can read this till the end.. can't wait for last embryo next.. Thank you very much, frozen sama..
Just go to Discord....there are Epubs/PDFs of every volume/side story there. New here just wanted to say great work! is 12 the last or its continue?? sorry for maybe sounding stupid but is there a way to go get vol 1-10?